Certain things can definitely make the hair on the back of your neck stand straight up. Whether it is a place, a situation or even a person – you just feel that it might not be a good idea to stay around. The truth is that you can cringe if you are watching other people do embarrassing or awkward things, as well. That is exactly the reason why we made a list of 10+ situations and people that will surely make you laugh so hard that you might never recover. 1. Do you want some ice? It is hard to think of something crueler to do to someone, but we are really curious why would you even invite as a guest you do not like? Maybe Brisk has her reasons and that led to some passive-aggressive way to show someone how much you despise them. 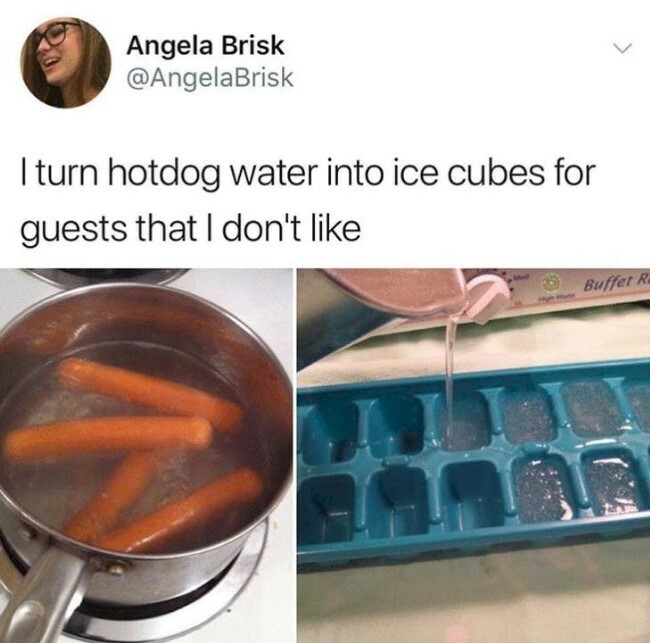 Turning hot dog water into ice cubes and putting them in someone’s drink is probably the pettiest thing we have seen so far and it is definitely something we do not wish to happen even to our worst enemy. 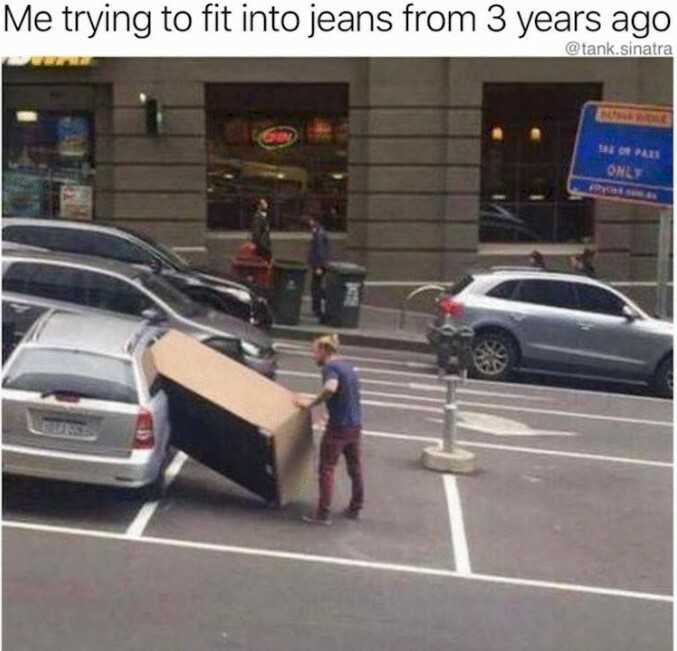 This caption is just perfect and we can come up with so many others, but can we first talk about why on Earth would someone even thought that they could fit a furniture this big into that car? We get it,;the delivery fees are ridiculously high, but in cases like that you should try and think of a better way to transport your furniture. Like maybe finding a truck to do it. You know, just a suggestion. We have no clue how that situation ended and we are sorry we even missed it in the first place. We guess that all we are left with now is just making absolutely relatable captions and honestly, we can live with that. 4. 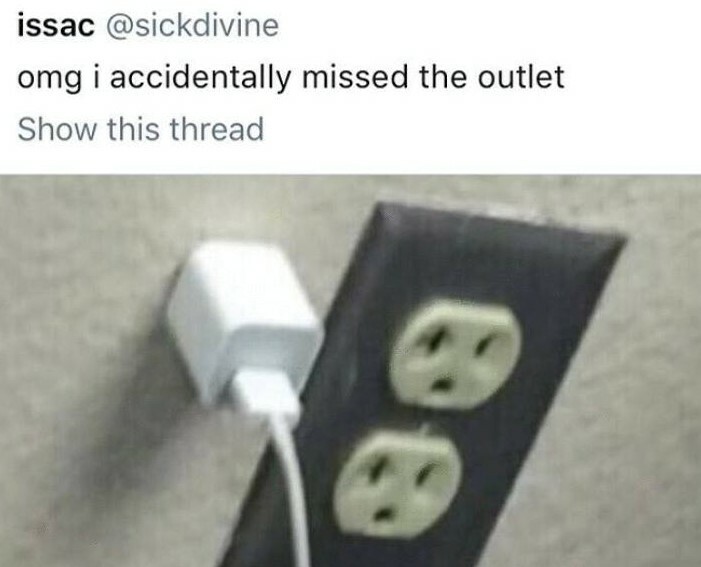 Did your phone charge anyway? We can think of so many Chuck Norris jokes that it makes our heads spin. But let us try and see things from the brighter side – at least it is a good thing that he saw it right away, because it could have been worse. For example, such a thing can happen during the night, right before you go to sleep. What can be a more unpleasant surprise in the morning than finding out that your phone has not been charging all night? Blame it on the wall. 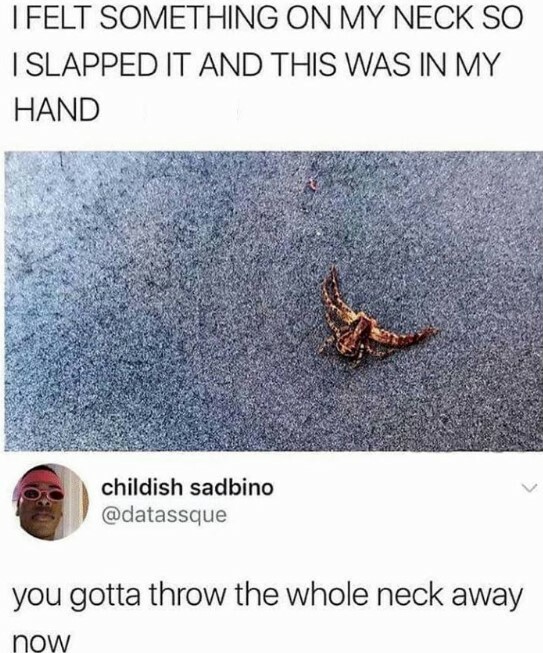 There are only two things that can be scarier than a bug. The first one is a bug that you can’t even identify. And the second one – a bug that you can’t even identify after it just crawled on your neck. It gives us the chills to even think about it. We understand the fear and the shock something like this can cause, but please, do not post a zoomed picture of such creatures on the Internet. If anything, there should be a ban for creepy bug pictures and we mean it. Nothing can make us cringe more than this. Why would a stranger be interested in how we would comment on their picture taken with a ridiculous filter is a question that will always bother us. But since they insisted – we totally agree with the “delete it” comment. 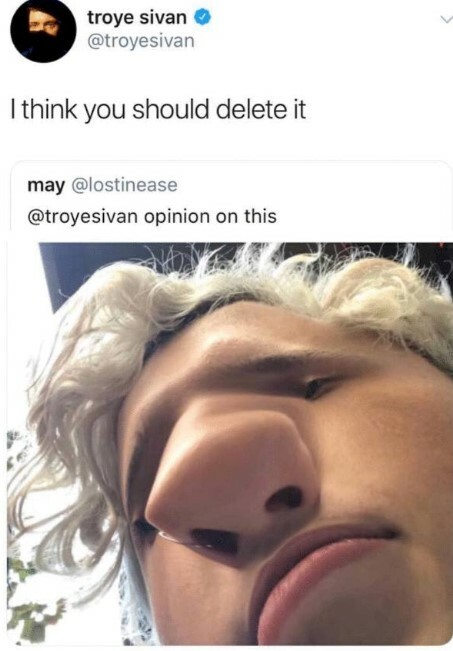 We may also add that it is better to restrain yourself from posting such pictures of your zoomed nose because it is just not right. It is understandable that many people are fishing for comments and shares, but things like that have already bored us out of our minds. Yes, even us who actually comment on things like this for a living. 8. 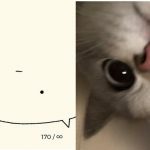 Do you want to dive? There are a lot of unsolved mysteries in the world already and someone just added another one. What superpowers do you need to have to have to actually be able to do this? 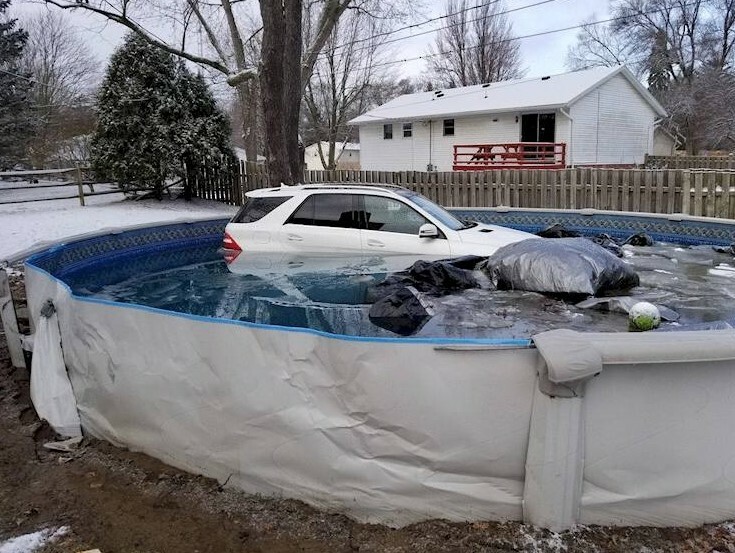 How on earth did a SUV end up in a pool? No, scratch that; how on earth did a SUV end up in an above-ground pool? A thing like that is for sure a hectic sight, but the good thing is that it did not happen during the summer. Now the owner of the house will have enough time to fix it for it to be ready for the swimming season. Ok, we all experience days in which nothing seems to be going as it should, but there is no denying that there are people on this planet who are real jinx. If this is not the bathroom from Frozen then I do not know what it actually is. 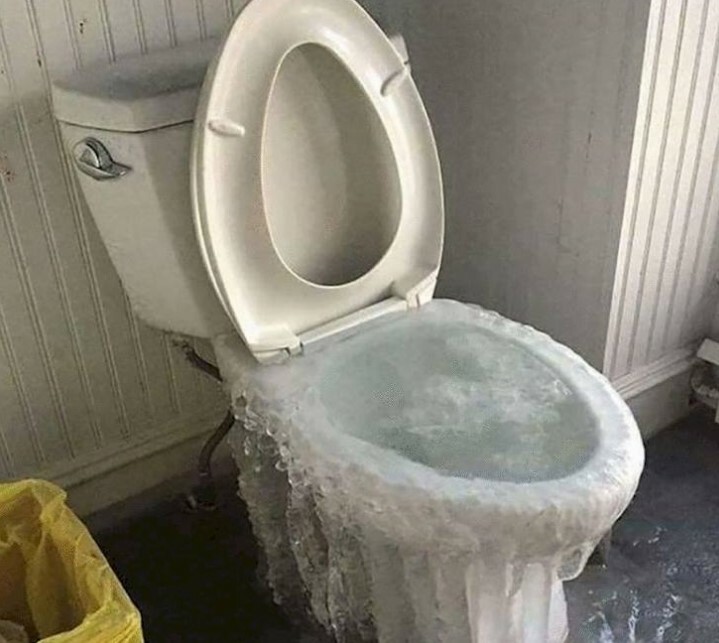 It is not the bathroom from hell for sure, because in that case there will definitely be less ice in it. In some way, we are glad that we do not see what the shower looks like. Thank God! This is actually a picture which can perfectly demonstrate what it is like when Monday comes crashing in. 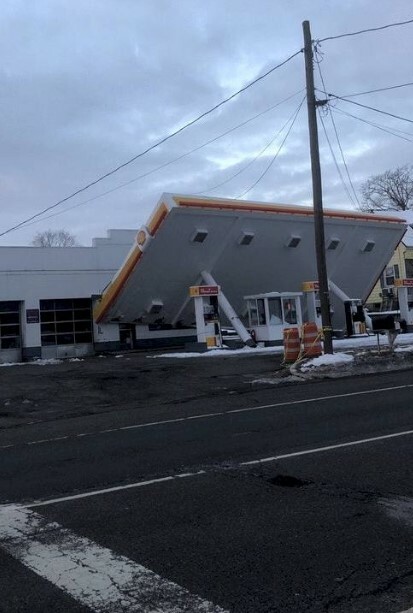 It is a good thing that it just tip over and did not actually tear down, but still it is a scary thing to experience while pumping gas in the tank. We do hope that no one got hurt. 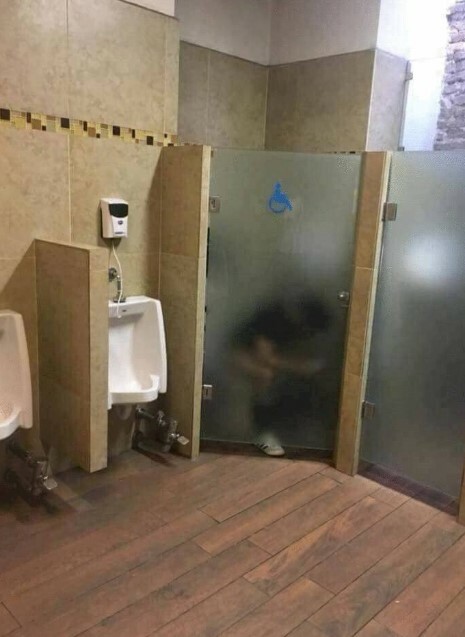 What is with restrooms and the see-through stalls? 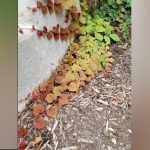 Is there some kind of competition or something, because this thing is getting out of hand? Here is something to think about – instead of putting these see-through stalls why don’t you just make them fully transparent? There would not be any difference, if we have to be honest. Even if you somehow put up with the unfortunate moment you need to do your business in a restroom like this one, there will always be a chance for some random stranger to decide to take a picture of you. Because why not? 12. 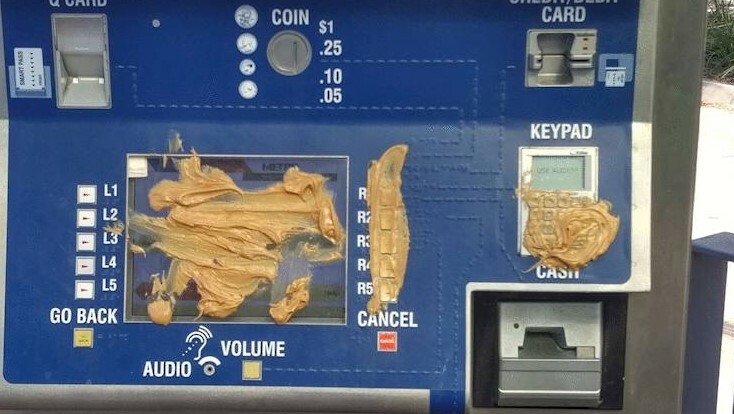 Is that peanut butter? 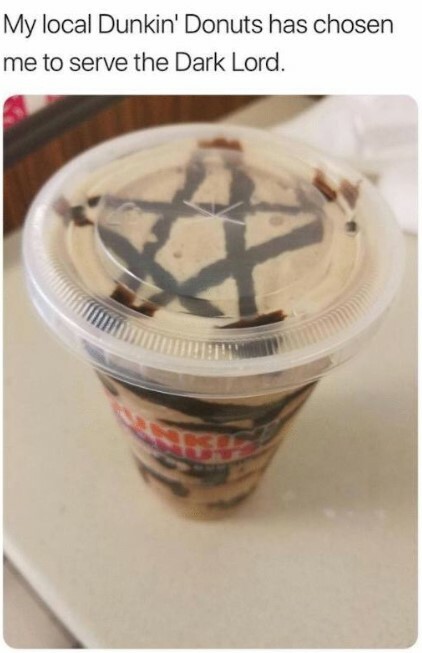 We have seen a lot of creative ways to tell people that a machine is broken, but this one right here is one of a kind. However, we do not appreciate the waste of peanut butter (we really hope that it is in fact peanut butter!). It belongs on a slice of bread, so please people – follow the rule. 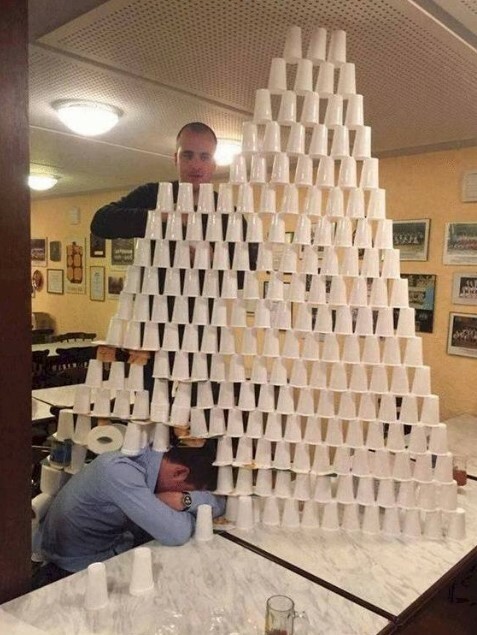 There are a lot of other ways to mess with someone and if we have to honest, this one here is not a really good idea. All of the important buttons have butter on them and it makes it really hard to decide whether to be mad or hungry. Well, this flight might not be really peaceful. 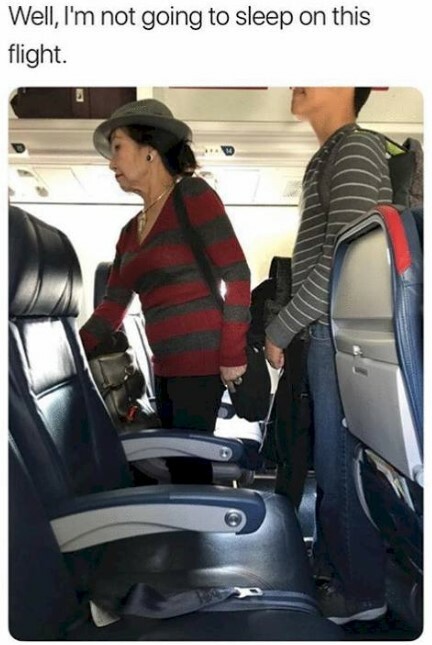 Some people have enough anxiety already when it comes to flying and they surely do not need a passenger dressed as Freddy Krueger’s wife on the plane with them. Now everything you need to make this flight even more horrifying is someone to have a vision about something bad happening and you would end up with having to put up with a mix between Nightmare on Elm Street and Final Destination. Perfect. 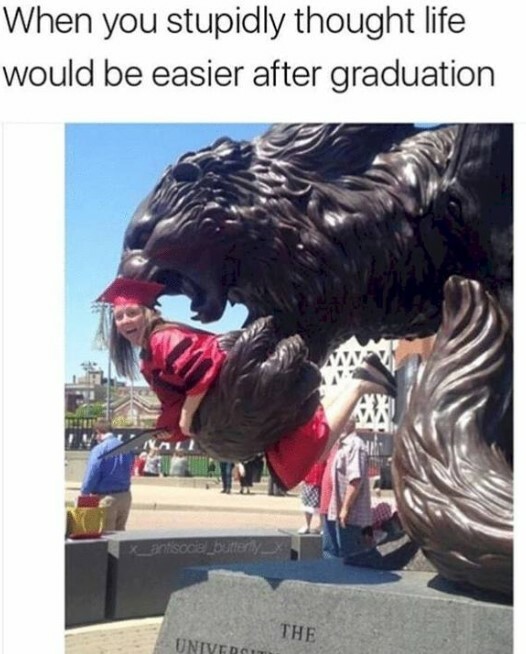 Thousands of students have this delusional image of what life after graduation actually is. We are not here to blame anyone for doing it, because we all have been there, but at one point you just stop being young and naïve. Basically, you step into the real world and soon the harsh reality hits you in the face. That is why you need to learn to use some humor and self-irony – it makes things much easier and funny. A pretty relatable picture we must say. 15. What happened to Paddington? A couple of things might have happened here and we are not certain which one. 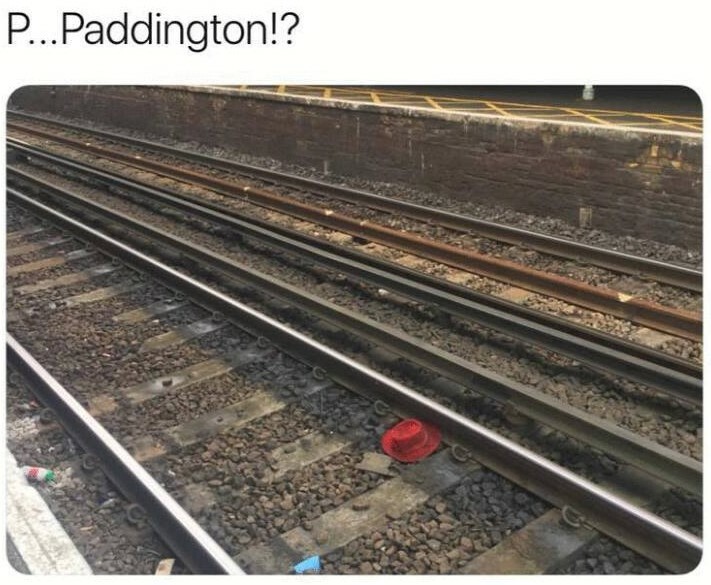 One guess is that the adorable bear lost its hat, because the wind blew it away or the animal was just tired of wandering around the station which is why it threw the hat and left. We do not even want to comment on the worst possible scenario because you guys are aware of it yourself. 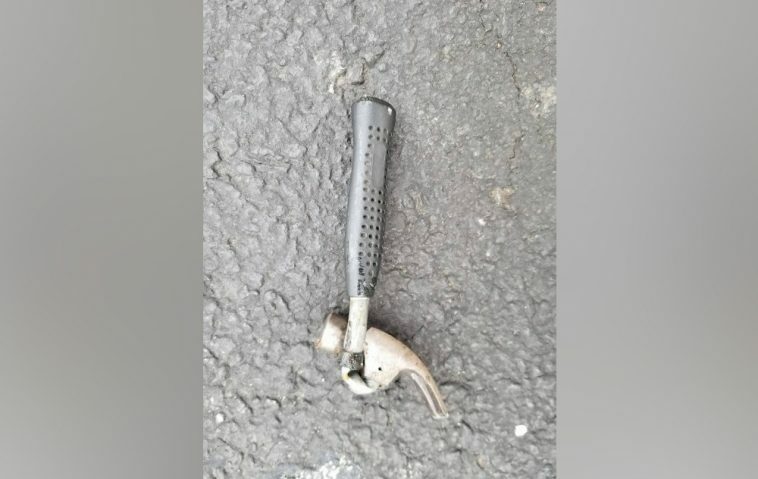 But let us stop with the drama already and ask the real question – when will someone actually do something about all the garbage that people keep leaving on the tracks?